From the gorgeous California wine country comes…Beaujolais Granola! Don’t be fooled, there’s no wine in it, but it’s so delicious, it’s worthy of a toast! This is handcrafted granola made in small batches with quality, natural ingredients like healthy rolled oats, fiber-rich dried fruits, crunchy nuts and seeds, and tasty cacao nibs. It has just the right amount of sweetness not from any refined sugars but from non-GMO organic honey which is filled with enzymes, vitamins, minerals, and an antioxidant that improves brain function. All 5 flavors are super yummy: Cherry & Cacao Nibs, Wildflower Honey & Hazelnut, Cashew & Coconut, Apricot & Almond, and Six Seed Sensation. 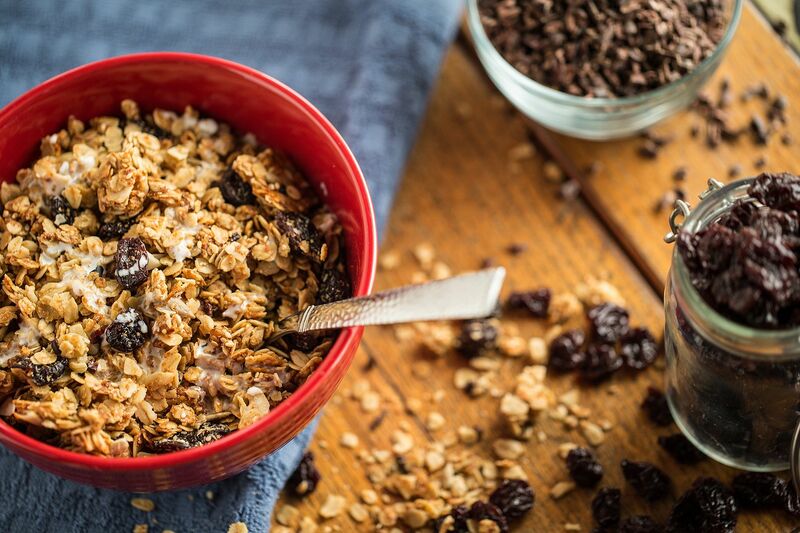 High in protein, high in fiber, low in sodium, and free of dairy products, Beaujolais Granola is a healthy way to start your day, finish your day, and everything in between!